Fresh out the studios and into the streets dancehall deejay Eric Sommers more popularly known as Iyara is now promoting his latest mix-tape compilation which features a host of songs recorded since the start of the year. According to Iyara who is a rising member of the Alliance camp the people have been calling. "Well the mix-tape is officially in the streets now we distributed over 1000 copies all over di place and the people dem a respond and is just a good feeling". The mix-tape which features some 25 tracks brings Iyara to the forefront and into the public's eye for the first time since allegations against him were mounted back in July by a popular dancehall selector. "Right yah now this mix-tape was necessary because mi did want di people fi see that music is what I do and mi neva inno no mix up wid nobody. 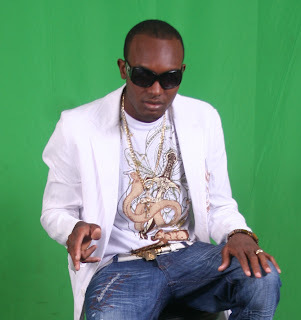 Iyara is a deejay and my career is important to me". Last seen performing at the Fully Loaded stage show Iyara says he has his eyes set on one of the biggest shows this Christmas. "Well I must say Fully Loaded was a great experience, mi touch stage inna da early morning about 4am when Fat Joe and even Aidonia did done perform already but looking forward a Sting di ting deh right now, me a do what I need to fi get mi ting together so when dem call mi can answer". Currently getting heavy radio rotation for his new single "Hustlin" Iyara says alot of work has been done but the struggle continues. "Well firstly respect due to man like Bounty Killer, Rescue, Tuffy, Fusion, Dutty Koolie, Got It Records and di whole team. Big up da fans everytime cause we neva stop work". DOWNLOAD HIS NEW SINGLE "HUSTLIN"